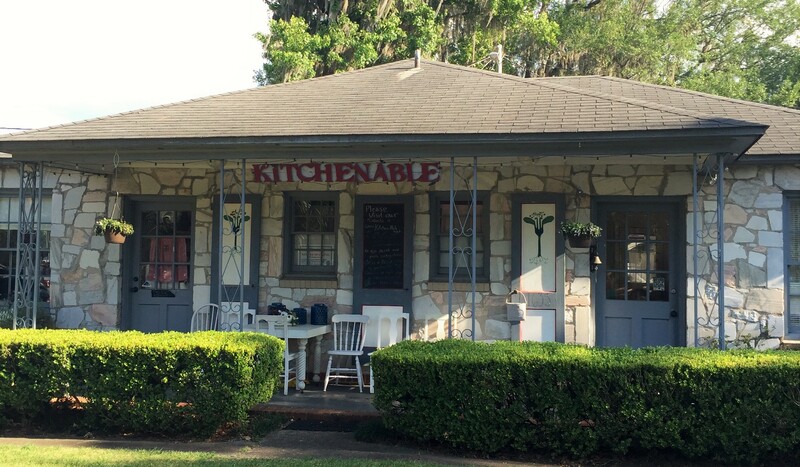 KitchenAble – A field-to-fork fabulous cooking adventure! We are a quaint cottage cooking school on the shore of Lake Ella in Tallahassee, Florida. In addition to our regularly scheduled classes we also teach at a variety of venues throughout the area and can be booked for a private event either at our school or your chosen location. Additional services we offer include: catering, private parties, a monthly supper club, corporate events, cooking camps, and menu consulting. Click on the Announcements tab to find out what we are up to. We also have a calendar of our upcoming classes. If you would like to visit in person please give us a call first as our hours at the cottage vary. Even if we aren’t there you are welcome to peek in the windows. Our chef, Jessica, can also provide private lessons for clients who have specific dietary needs or kitchen challenges. You can find out more about her experience including some of the books she has contributed to at her website www.chefjessicabright.com. If you have any questions you can contact us directly via this link. Would love more morning classes. Made your artichoke quiche and orange zest scones and lemon curd yesterday … delicious!